3. Who am I buying the hearing aids from? What are the person’s credentials? Is he/she a Doctor of Audiology (Au.D.) or a traditional hearing aid dealer? How long have they practiced? What is their reputation like? If you need to have a person facing you in order to understand him/her or have difficulty understanding conversation in groups or in noisy situations, you probably have some degree of hearing loss. 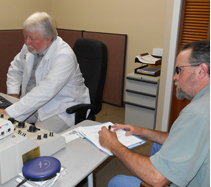 The way to find out is to have your hearing tested by a licensed Audiologist. Will hearing aids help me hear better? There are very few types of hearing loss that cannot be improved with the use of hearing aids. Helpful Thought: Hearing aids do not correct the cause of your hearing loss but they do allow you to make more effective use of the hearing that you have left. Over the past decade there has been a technological explosion in the hearing aid industry as in many other electronics industries. This has created a very wide range in hearing aid features. All of our hearing aids use digital signal processing platforms. Some of these are more basic and thus less expensive while others are much more feature laden and thus cost more. Am I automatically going to have to get the most expensive hearing aids? The short answer is no! 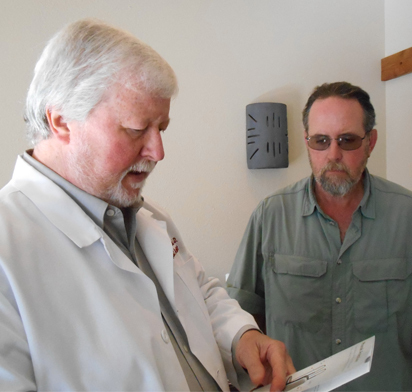 At BHC our goal is to help you hear better with hearing aids that meet your listening requirements and this can often be done with less expensive hearing aids. 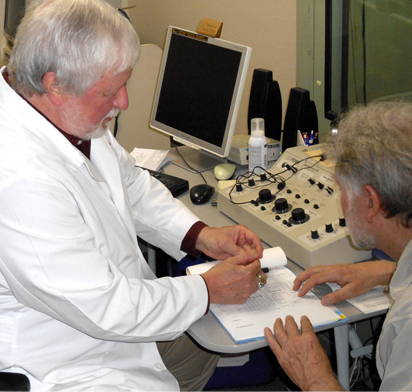 The process starts with a comprehensive hearing evaluation to determine the type and amount of hearing loss and the condition of the residual hearing along with a visual examination of the outer ear and ear canal. In addition, we want to find out what type of listening problems you are experiencing and the kinds of situations in which they occur. 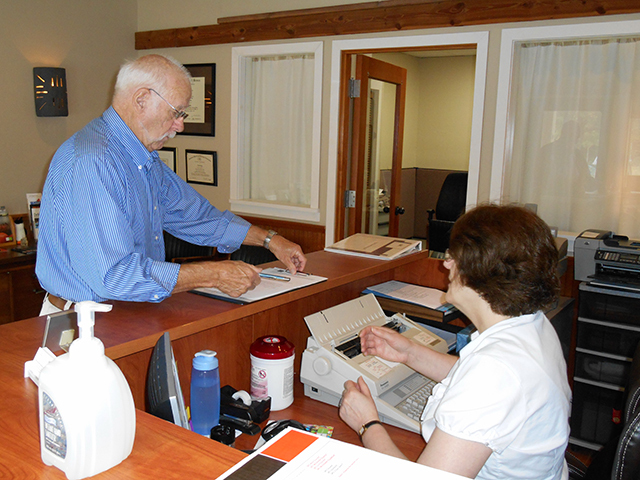 After gathering all this information, we can suggest hearing aid solutions that will meet your listening needs while staying within your budget. Factoid: The majority of people with hearing loss have their greatest difficulties understanding conversations when listening in groups or other noisy situations. What’s the point of all that? Don’t all hearing aids do the same thing? Again, the short answer is no! Think of a hearing aid as a tool. You don’t use a screwdriver to pound nails or a hammer to paint a house. Likewise, there are different types of hearing loss (conductive, sensory or neural) that have their own set of fitting requirements and each may require a specific type of hearing aid to achieve the best outcome for the patient. So I get hearing aids, is that it? By now you’ve probably guessed that the short answer is no! 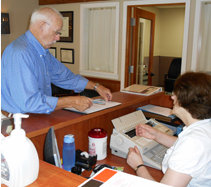 There is a certain amount of normal maintenance and upkeep necessary to insure your hearing aids are working properly. We provide this for you at regular intervals during and beyond the hearing aid’s warranty period. 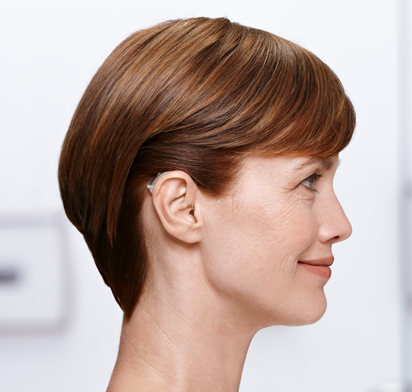 The vast majority of our hearing aids come standard with a 3 year parts and labor warranty and 3 year loss and damage coverage and a 3 year battery supply. As my grandmother used to say, “if it sounds too good to be true, it probably is.” Be careful when you are shopping for hearing aids.